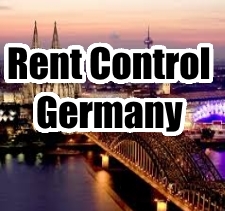 German rent control systems are often heralded as a solution to the problem of unaffordable housing. Germany boasts the strongest economy in the European Union and, despite experiences difficulties of its own during the economic contraction of 2008, has been rapidly recovering to pre-recession levels. Among the countries we have analysed, Germany is the most receptive to tenant-friendly legislation; German home-ownership is the second-lowest in the European Union, at 52.5% in 2014, and as low as 15% in municipalities like Berlin. Historically, property prices have risen very slowly in Germany, removing one of the primary motivations for buying a home: hedging against rising future rents. To compound this, German banks are notoriously risk-adverse, and these stringent lending practices protect the housing market from financial market distortions, reducing the risk of default and providing market stability. According to the OECD Better Life Index, 93% of Germans are satisfied with their current housing situation, which has placed increased scrutiny on the systems in place; Germany boasts one of the most highly regulated housing markets in the European Union, so if prices are responding favourably, and the population is satisfied, then this is the model to emulate. When Berlin introduced its new rent-control laws in 2015, there was critical acclaim from much of the world’s press, especially in the United Kingdom, where housing reform is a volatile concern. The response has been lukewarm, by contrast, among economists, who widely regard rent control legislation as a flawed mechanism. Of Berlin’s roughly 3.5 million citizens, approximately 250,000 live in public housing, and there are an additional 280,000 apartments owned by state companies whose regulations changed when the legislation took effect. The law effectively places a rent brake on social or state-owned housing, establishing the upper limit for rent as one-third of income. This applies only to households with low income; the qualifying income is €16,800 for a single-person household, and €25,200 for married couples, annually. For those who qualify, the maximum subsidy is €2.50 per square metre, and any difference above this amount of rent must be paid by the tenant. Peculiarly, in 2014, the average private rent in Berlin was €5.84 per square metre, and the price per square metre for average public housing was €5.91. This discrepancy is a result of previous practices to incentivise builders to construct social housing – Berlin paid companies a subsidy on social housing, paying for a portion of what would otherwise have been high rents. This subsidy scaled downwards at a rate of 13% per year, and this loss of revenue was primarily offset by increasing rents, thereby edging out poorer tenants in housing that was intended for them. The introduction of Mietpreisbremse, the rental price brake, was further regulation in an already heavily regulated market. This legislation primarily applies to the hotspots in the property market, such as Berlin and Munich, and places a cap on rents for new tenancies at 10% above the existing rental benchmarks, and banned letting agents from charging a fee from tenants. These benchmarks are independently compiled by the municipalities every four years, and provide a reflection of rental values, and rent increases reflect the overall trend of the market. One primary issue of the Mietpreisbremse is the provision that rental increases can be tied to building improvements. In Berlin in particular, the rise in housing prices has been so severe in recent years that when landlords introduce “green” improvement measures, highly incentivised by the government, such as upgraded insulation, triple glazing, or new central heating, the resultant increase in rental costs can be as much as 300%. Now, a full year after the introduction of the new legislation, there is more evidence to consider about its effectiveness. Immediately after the law took effect, rental prices declined, but this fall was offset by rental increases as early as November and December of the same year. This temporary decline has been described by some as a “feeling out” period, where landlords waited with bated breath to see if the law would make any substantial changes. For many, the legislation has been toothless; the rent observatory boards do nothing to intervene, unless the tenant themselves initiates court proceedings against the landlord, and this sort of action is time consuming and expensive. For many, especially in the premium rental market, prospective tenants are more than willing to pay a premium, above the legal limit, for the property they are in the market for. As a result, rental prices in the highest sectors of the market rose at 5.7% in 2015, in contrast to the 2% increases among the cheapest 10% of Berlin’s real estate. Whether the Germany policies will ultimately be successful is yet to be seen; however, it is a testament that any legislation of this sort must come with efficient and effective enforcement, lest landlords simply ignore the law and proceed with business as usual. And in a country where prices have risen by as much as 45% in a year in some areas, business as usual seems irreconcilable with the goals of the government.